What is the Open Share Icon? 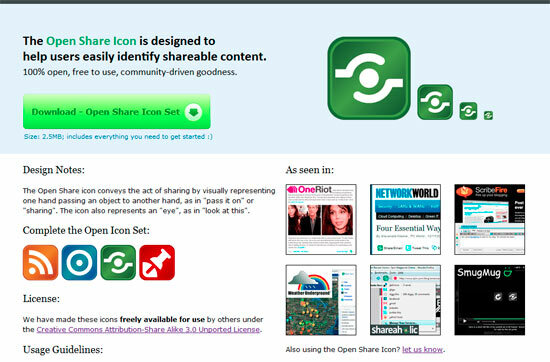 The Open Share Icon is designed to help users easily identify shareable content. A new, truly open, free and more flexible community-driven icon. The icon is freely available for use in connection with content sharing, in all its forms. Today, I am pleased to announce that the Open Share Icon has a new website! After a lot of hard work, we pushed out Shareaholic v1.7 last week! You can get the latest version of Shareaholic from here, or you if you already have Shareaholic installed, just wait for Firefox to automatically notify you of the update. If you use the NoScript Firefox Add-on, please make sure you read this. If you have any suggestions whatsoever, please do let us know. We’d love your feedback. A big thank you to you for sticking with us in our journey to make Shareaholic simply the best way to share stuff online. Learn more about Shareaholic v1.7 here! Last week I attended the MIX09 conference in Las Vegas. At the conference, Microsoft announced the release of its next major web browser – Internet Explorer 8. Read all about it here. I stitched together this short 02:53 video from the main keynote recording. Hope you like it! Full keynote video can be viewed here. 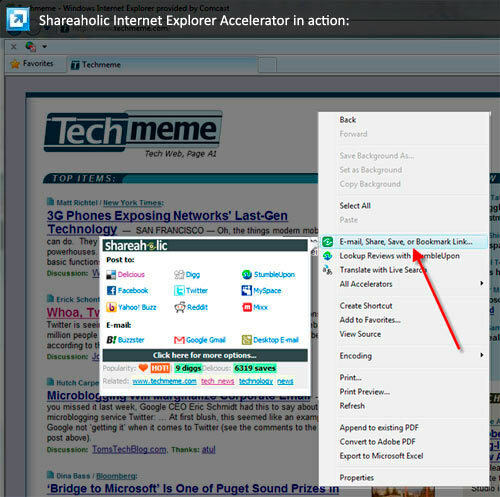 Similar to Shareaholic for Firefox, Shareaholic Accelerator for IE8 enables you to quickly, and very easily share, bookmark, and e-mail web pages via a wide array of your favorite web 2.0 social networking, bookmarking, blogging, and e-mail services from Internet Explorer 8. 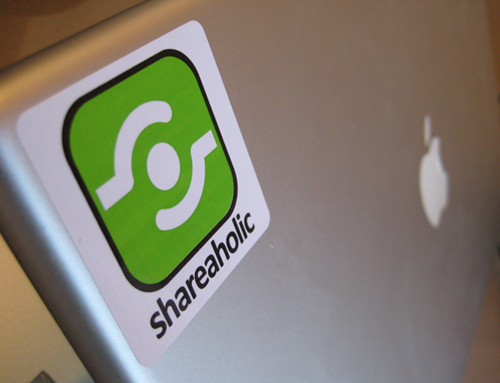 Shareaholic limited-edition laptop stickers now available! Find out how to get one here.